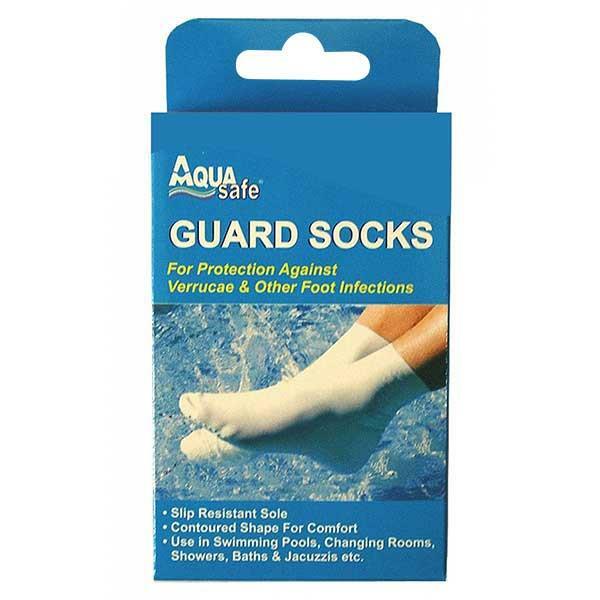 Aqua Safe Guard Socks have been designed to help protect your feet from contracting verruca’s and other water foot infections. The guard socks have a slip resistant sole to ensure your safety when swimming or at the changing rooms. The Aqua Safe Guard Socks are available in four sizes.